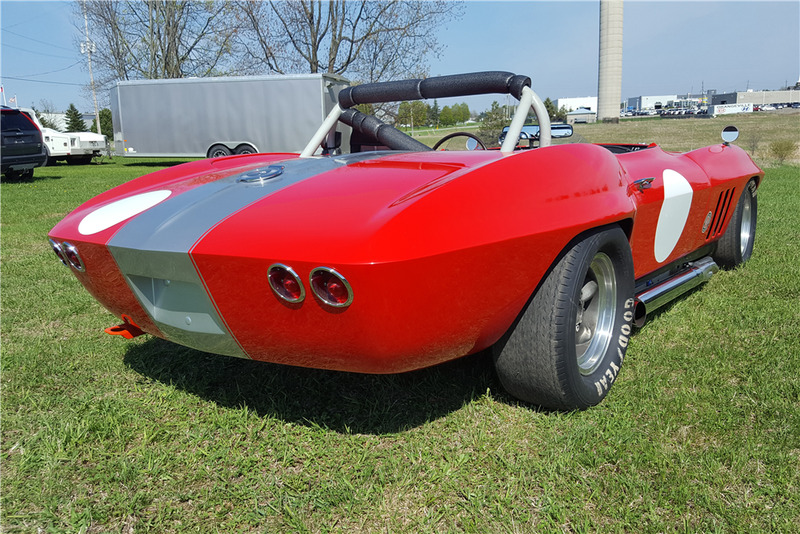 This 1966 Chevrolet Corvette is a late-production L79-powered convertible and was rebuilt as a B-Production racer in the late 1960s with custom fabrication and bodywork. It was campaigned in IMSA and SCCA events by Web Brownlee of B&B Corvettes until 1973, predominantly at Central and Northern California venues such as Laguna Seca and Sears Point. Period racing modifications included a lowering of the body onto the welded and gusseted frame, and a fully stressed roll cage spanning the cockpit and engine bay. 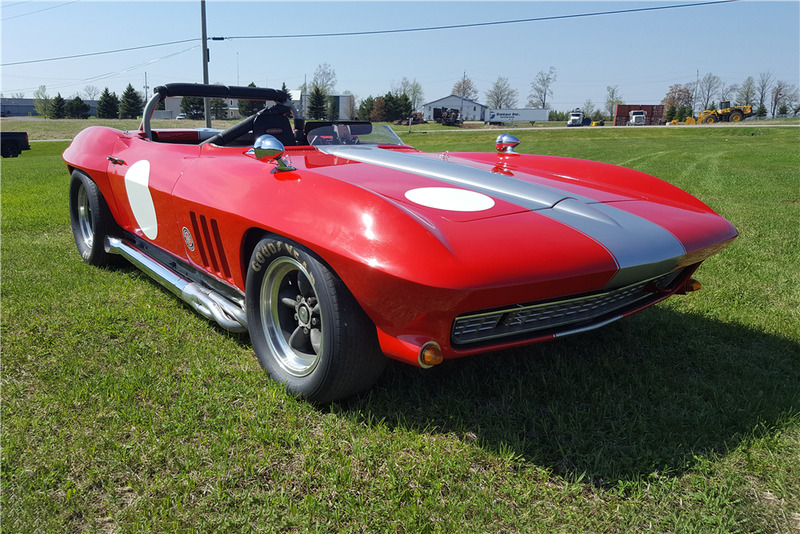 Additional modifications overtime included rear-wheel flares, deletion of bumpers and headlights, an electrical system cutoff switch, hood pins and fender-mounted bullet mirrors. It’s sitting on American Racing Torq Thrust D wheels wrapped in Goodyear Blue Streak race rubber. Tow hooks were recently installed to the front and rear, as were covers for the front turn signals. The interior features a new cover that has been fitted on the Kirkey racing seats, and RaceQuip harnesses are mounted to the padded roll bar. 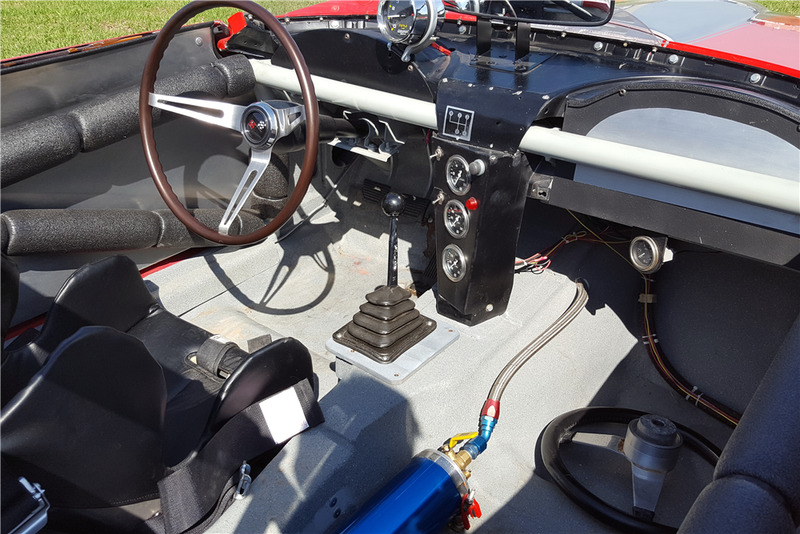 Inside it’s equipped with a newer Hurst shifter and vintage-style Corvette steering wheel, track-oriented instruments and switchgears that are a mix of period and newer pieces. A period race wheel is also included in the sale. 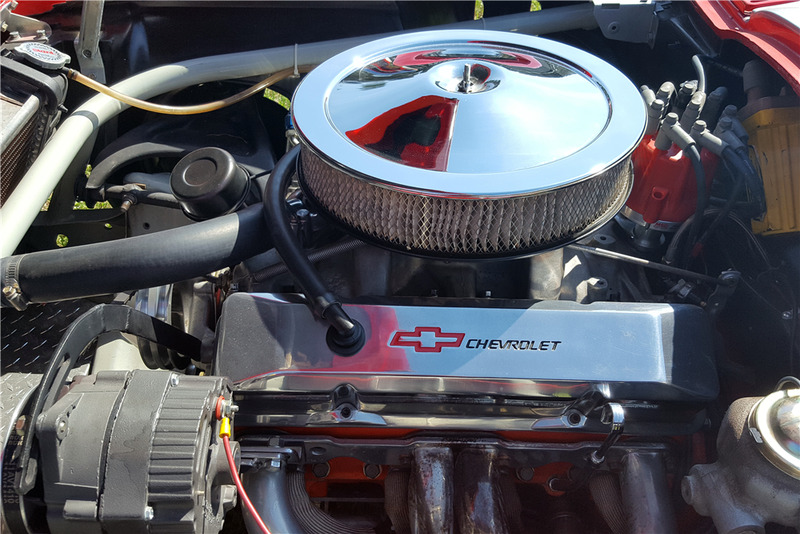 It's powered by a rebuilt and balanced 327ci V8 with a overbore, forged pistons, Carrillo connecting rods, a steel crankshaft, upgraded rings and bearings, solid lifters, True Roller timing chain valves and a 12:1 compression ratio. Exhaust flows via polished 4-into-1 headers winding out to full-length side pipes. Fuel is supplied by a Holley electric pump drawing from a JAZ fuel cell.